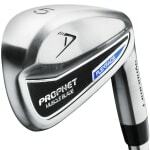 Dynacraft Golf delivers serious performance and advanced technology previously found only in golf clubs costing much more. 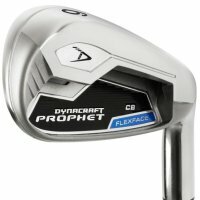 The Dynacraft Prophet CB iron is all about enhancing distance and performance featuring Flexface; a thin, special vacuum heat treated high-strength forged 17-4 stainless steel face with variable thickness to push high COR to its maximum limit. The Dynacraft Hindsight putter incorporates Forward Hand Press design creating a fluid, rhythmic stroke and keeps the hands moving through the stroke.